The park is situated on the main street of Yalgoo (Gibbons Street) which is a comfortable six hours drive north of Perth or just two hours east of Geraldton. We have first-rate facilities to suit all travelers including; motel style unit accommodation for singles, couples or families, large powered or unpowered caravan sites and drive through sites big enough to suit the largest RV. Pets are welcome to this clean and friendly park. 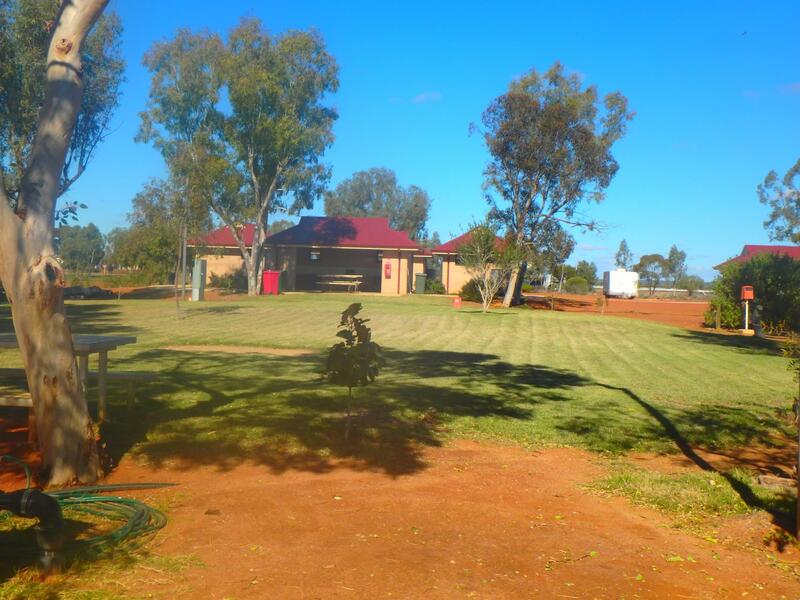 One of the best features of the Yalgoo Caravan Park is its central location to the many attractions in the region. Within a short distance from the park, you can experience a wildflower wonderland from late July to September, visit one of the smallest Dominican Chapels built by Monsignor Hawes and see majestic Wedge Tail Eagles, kangaroos or emus in their natural environment. For the convenience of our visitors, there is a tourist information centre situated in the caravan park. Our tent sites are perfect for those with swags or tents. We offer grassed sites that are close to the camp kitchen, laundry, and amenities. The unique rammed earth motel style units are made from the very earth on which they stand, donated by local pastoralists. There is twin, double or family units. If you are traveling overnight or planning a longer stay these units are the perfect choice for those looking for first rate and clean accommodation. Your pets are welcome at the park but not permitted to stay in the units.